Native specifically to Morocco, Argan oil is one of nature’s most rare oils. 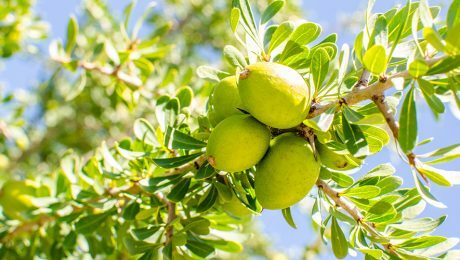 During the last few years, Argan Oil has become more and more popular, but it has been used for centuries and is a staple of everyday life in Morocco. It has a wide variety of uses from cuisine to hair products and is also used for some topical purposes such as a salve for skin irritations and bug bites. 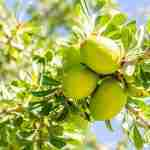 Argan Oil is harvested by extracting the oil from the seed of the Argan fruit. It is collected, pressed, and purified to retail the fruit’s natural compounds that can be used “as is” or added to various products to enhance their benefits. 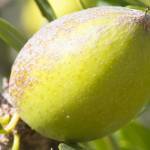 Today, Argan oil is mostly used as an amazing moisturizer for hair and skin. Unex Keratin’s Moroccan Miracle hair products are formulated with pure Argan oil, which is used to condition and revitalize hair. With its natural anti-aging properties and tocopherols (vitamin E), it also moisturizes and protects hair from free radicals and fights frizz. TK’s Moroccan Miracle line includes Moroccan Miracle Conditioner, Moroccan Miracle Shampoo, Moroccan Miracle Leave-In Mist, Moroccan Miracle Hair Serum and Moroccan Miracle Leave-In Crème. Both the Moroccan Miracle Shampoo and Conditioner are used to replenish and hydrate hair that has been weakened or damaged by color, bleaching, chemical processing, and heat styling. These products gently cleanse and restore your hair’s natural luster and shine all the while preserving the health and vibrancy of the hair. Used together, your hair is perfectly prepped for the following leave-in products that will finish off your sleek and shiny look. The Moroccan Miracle Aftercare products are used to continuously control your desired style and create ample shine. First, the Leave-In Mist is used to protect and renew your hair’s vitality. This mist penetrates deep into each and every follicle ensuring your hair’s natural vibrancy is restored. This mist has been designed to nourish the cuticle prior to styling or to revive and refresh dull and damaged hair. The Hair Serum is used to hydrate and nourish the hair while restoring elasticity and strength. This serum is perfect for styling and finishing as is creates a luminous shine and caressable softness. It is also anti-frizz; it detangles, repairs and prevents split ends. The Leave-in Crème is used to create long lasting blowouts for up to 4 days! It also boosts moisture, elasticity, and overall radiance. The world we live in today is much different than 20 years ago. 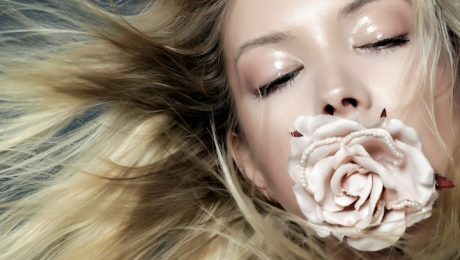 Unfortunately, many products and companies do not use wholesome ingredients but instead use sulfates, parabens and harsh chemicals. If you turn your favorite product around to read the back of the container, can you name and pronounce anything on the list? Unfortunately many cannot. Your skin is your largest organ and what you put onto it is very important. This includes your hair and scalp. As we move into the rapid digital age, it has become easier to identify great products and confirm the ethics behind them and, most significantly, their ingredients. True Keratin uses a variety if wholesome ingredients in all of our products, from where our keratin is procured to where we get our fruit and essential oils. Each person we work with holds their ethical standards high for fresh and ripe products. They also take into consideration our ecological footprint. We believe that only using Certified Organic Ingredients is important and sets us apart from the cluttered hair care lines today. These are some of our favorite fruit ingredients. They are hand selected to keep your hair looking gorgeous and feeling healthy. 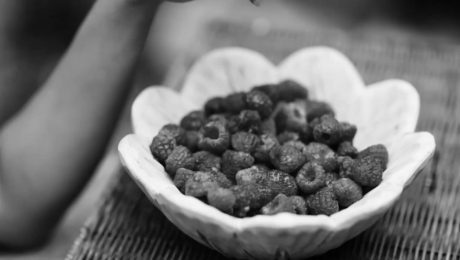 This little purple berry has the best combination of minerals and amino acids that help strengthen the hair. 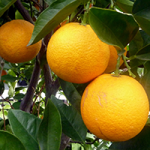 It is rich in Protein, Vitamins A, B1, E and C, omega-6 and omega-9 fatty acids, fibers and enzymes. 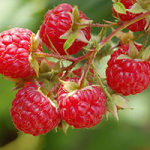 Raspberries are not only delicious in taste, but they also have major benefits for your hair. 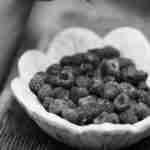 Rich in vitamins and antioxidant, raspberries promote healthy and shiny hair. This vital extract rejuvenates the hair and improves elasticity and texture. Rich in Vitamin E, it eliminates free radicals to produce healthy oils in the scalp. 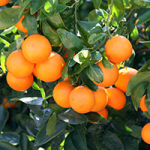 Mandarin is an exotic fruit that helps maintain the moisture and protein balance in hair. It adds sheen to dull hair and controls frizz. Each and every fruit we select to be in our products has a special purpose and adds a subtle fragrance so your hair can smell amazing while the fruits rich oils penetrate deeply to activate healthy and shiny hair. Choosing products that have ethical and healthy ingredients is the first step in making manufacturers more accountable. When we refuse to buy products with unethical and toxic ingredients we create a demand for productshealthy and eco friendly. Consequently we are doing our part to leave a fruitful earth for future generations. ARE YOU A HAIR PROFESSIONAL ? feel free to submit your Salon and or contact information so that others looking for the Keratin Treatment can find you! What is Formaldehyde when it pertains to any Brazilian Keratin Treatments? 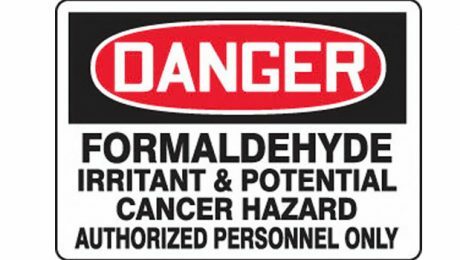 Formaldehyde is a carcinogen, the same exact chemical used in embalming. This chemical has been reported to irritate the eyes and lungs, sometimes leading to nose bleeds. According to studies, when it comes to cosmetic products such as Brazilian Keratin Treatments or Brazilian Blowouts, only .02 percent formaldehyde is considered safe. It has also been shown that there are products out there with up to 10% formaldehyde. Keratin Hair Products are NOT approved by the FDA. What this means is that there is no standard to what goes in to these products, nor are they tested and regulated for safety. Besides the obvious, there are also hidden dangers the average person would not consider. Being that formaldehyde is carcinogenic, you risk cancer. The process of applying AND maintaining these Brazilian Straightening Treatments is where the danger truly lies. After several shampoos and a thorough drying of the hair, the Keratin is applied and the product is combed through. The next step is locking the product into the hair follicle, and this is done with a blow dryer and then a flat iron with heat of up to 450 degrees. While the Keratin is being heated, it also heats the formaldehyde. This allows the chemical to vaporize and be released into the surrounding air, thus affecting not only the client and the hair stylist, but also everyone in the surrounding area. So far, according to my article, the application process of any Brazilian Keratin Treatment puts you at the most risk.This does not mean that is where it ends. The Keratin (including the formaldehyde) leaves the hair slowly over a period of time, allowing a longer effect of the product. Meaning, every time you do happen to use your straight iron, or introduce heat to your hair, you will be exposing yourself to the same risks just the same as when you first had the process done. Due to the dangers of these products containing formaldehyde, companies have been altering their formulas to lessen or rid completely of this damaging chemical. A lot of advertisements claim to be 100% formaldehyde free but, being that the FDA does not regulate this product, there is no way of telling if that truly is the case. We only have independent studies to rely on. So if ?formaldehyde free? is a big concern for you, be sure to research thoroughly. A lot of marketing ploys aim to convince you that something is 100% natural when they really have no guidelines or regulations that the FDA ?would? have instilled. I can openly appreciate companies that choose to honestly inform their clients of their products ingredients. For example, UNEX?s line of Keratin Treatments states on their website, they do not market as ?formaldehyde free? because it proves to be ? ?potentially even harmful. Any formulation that produces a significant volume-reduction in the hair lasting several weeks is a potent salon product. It should be treated with healthy respect, and handled in compliance with sensible safety protocols by licensed hair professionals only.? ?Just as Argan Therapy suggests, even with a seasoned hairdresser, certain safety precautions should be taken regardless of the amount of formaldehyde contained in the specific product.